Your experienced attorneys at Wallin & Klarich provide you with answers to the most frequently asked questions regarding a probation violation hearing in California. 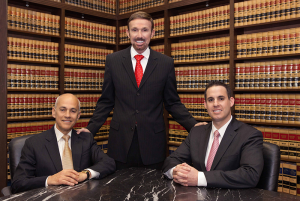 For answers pertinent to your specific case, please contact Wallin & Klarich today. Probation is a type of supervisory program in which you are required to comply with various terms and conditions as a tradeoff for suspension of your criminal sentence. If you convicted of a crime and are eligible for probation, the judge can suspend your sentence and order probation in lieu of jail time. A violation of the terms of your probation can result in the imposition of your suspended sentence or up to the maximum term allowed by law. On the other hand, parole is a supervisory program that is instituted once you are released from state prison that allows you to live in the community under restrictive guidelines. This is different from probation in the sense that it can be granted only after you have served time in prison. If you are found in violation of your parole, you can be sent back to prison. 2. What is the difference between informal and formal probation? Formal probation is usually granted for felony convictions and operates in a similar manner to informal probation (also known as misdemeanor probation) in that you must comply with various terms and conditions issued by the court. However unlike informal probation, you must report to your probation officer for at a specified time and date in order to remain in compliance with the terms of your formal probation. In addition, you can be subject to random searches of your home or person to ensure that you are not in possession of drugs or firearms. 3. How long does probation usually last? Probation generally lasts from 1 to 3 years but can vary according to the circumstances of your case and your prior criminal history. The maximum probation period allowed by California Penal Code section 1203 is 5 years. 4. Will the terms of my probation change if I am found in violation? Not necessarily. If you are found in violation of your probation, the judge has wide discretion in revoking your probation or modifying your probation terms depending upon the seriousness of the violation. The judge has the authority to modify the terms of your probation by requiring you to attend substance abuse programs, perform community service, or extend the time in which you are under supervision. However, the judge can also choose to keep your original probation terms intact and afford you a second opportunity to satisfy them. An experienced and knowledgeable probation violation attorney at Wallin & Klarich can aggressively argue to the court that your probation should not be revoked or modified and that you should be afforded a second chance at compliance. 5. Will I be granted bail if I am arrested on a probation violation? Whether you will be granted bail pending on your probation violation hearing depends on whether you were placed on a felony or misdemeanor probation. If you were placed on formal felony probation, then in most courts you will remain in custody on a “no bail hold” until the probation violation hearing. In some cases this means you can remain in custody for as long as 45 to 60 days waiting for your probation violation hearing. If you are arrested on a misdemeanor probation violation, you will be given the chance to post bail and to be released pending on your probation hearing. 6. What happens if my probation officer believes I am violating the terms of my probation? If your probation officer has probable cause to believe that you have committed a probation violation, he has the authority to place you under arrest and bring you before the court for a probation revocation hearing. The purpose of this hearing is to determine if you have violated the terms of your probation and operates in a similar fashion to a normal criminal trial. However, the prosecution only needs to prove that you committed a probation violation by a preponderance of the evidence. The judge will then determine whether or not you have committed such a violation. If the judge finds you guilty, a sentencing hearing will be held in which he determines whether to revoke your probation and impose your original sentence, modify the terms of your probation, or simply keep your current probation terms intact and afford you another chance at compliance. 7. If I have been charged with violating the terms of my probation, who should I call? Our lawyers are ready and able to help. Call us today. Drawing from extensive years of experience, Wallin & Klarich is available to answer any questions you have and are willing to go the extra mile in your defense during your probation violation hearing. With offices in Orange County, Los Angeles, San Diego, San Bernardino, Riverside, Ventura, Victorville and West Covina, Wallin & Klarich has over 30 years of experience in successfully representing Southern California residents who have been charged with violating probation. If you are facing prosecution for violating your probation, call our talented and professional defense attorneys today at (877) 466-5245. We will be there when you call.